The Toronto Maple Leafs limped home to a fourth-place finish last season, 13 points behind regular season champion Detroit Red Wings. 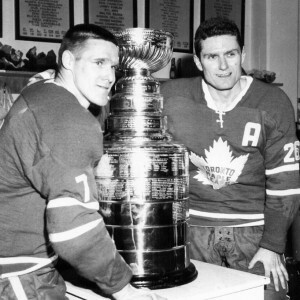 The failed attempt at defending their 1964 Stanley Cup title left many questions surrounding a team that is long in the tooth. Veteran savvy and guile can take a group only so far. With that in mind, general manager Punch Imlach made what he felt were exactly the changes needed to give his aging squad a shot in the arm and spark a rise back up the NHL ladder. A big trade with Detroit and a lesser exchange with Boston brought in players like Marcel Pronovost, Larry Jeffrey and Orland Kurtenbach, all of whom Imlach expects to be key performers. Has he done enough to boost the Leafs back into Cup contention? 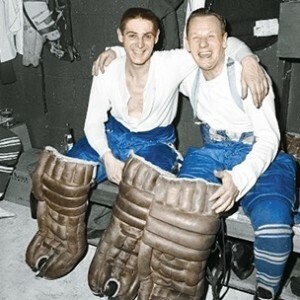 Terry Sawchuk and Johnny Bower gave Toronto the NHL’s best goaltending. 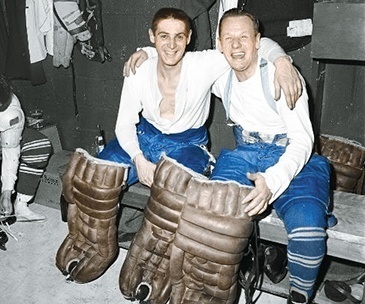 Leafs assistant general manager and all-round good will ambassador King Clancy says that Toronto’s goalkeeping duo of Johnny Bower and Terry Sawchuk is the best in the NHL. Last year’s Vezina Trophy-winning performance would seem to back up that notion. 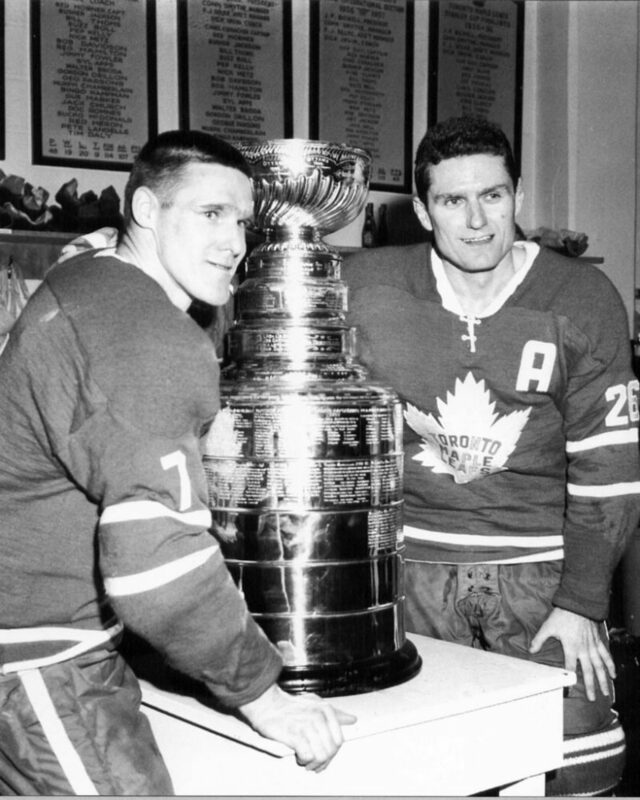 But Bower is at least 40 years old and Sawchuk is nearly 37, and it’s not reasonable to expect these two veterans and future members of the Hockey Hall of Fame to be able to keep up this kind of excellence forever. Imlach, however, apparently thinks they can. Over the summer, with the prospect of having to lose one of the two vets in the NHL’s Intra-league draft, he decided to let the best young goalkeeper in hockey, Gerry Cheevers of the Rochester Americans, go to the Boston Bruins, and not lose Bower or Sawchuk. Cheevers was the American Hockey League’s best netminder last season and showed himself, at age 24, to be ready for a shot at prime time. This could be a move that will haunt Imlach as soon as this season, especially if either of his veterans breaks down. This is not to say that the Leafs are completely devoid of goaltending depth. Twenty-one-year-old Gary (Suitcase) Smith received a long look in training camp. The flamboyant rookie with the colourful nickname did not embarrass himself in exhibition game action against NHL competition. But he is inexperienced and will need a couple of seasons of minor league education before being ready for full-time NHL employment. The Leafs picked up veteran Bruce Gamble in a minor deal with the Springfield Indians. 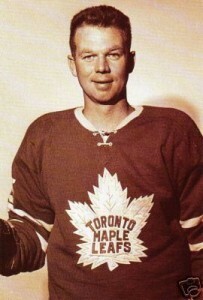 Gamble has not played pro hockey for the past 18 months, working at the grain elevators in Port Arthur rather than toil for Eddie Shore in the AHL. Gamble is 27 and has seen NHL action with Boston and New York. He reported to training camp at a reported 50 pounds overweight and has some work to do before he gets a sniff at anything with the Leafs. He’s destined for Tulsa. 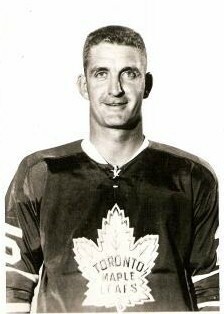 The Leafs also had a look at Dave Kelly, 23, a Toronto native who has been with Portland of the Western Hockey League for the past two seasons. He’s seen at as a possible replacement for Bower or Sawchuk down the road, but didn’t show enough in camp to merit a promotion at this time. The Leafs’ blue line corps was, up until this week, the club’s strong point. Over the summer, Imlach’s big move was to make the defense even stronger by acquiring Marcel Pronovost from the Red Wings in a deal that sent Andy Bathgate, Billy Harris and prospect Gary Jarrett to Detroit. Imlach says Pronovost was the best defender in the NHL over the last half of the 1964-65 season. Pronovost was supposed to move into the aging Allan Stanley’s spot with Tim Horton, with Stanley assuming the role of defensive swing man. A huge monkey wrench was thrown into that plan when all-star Carl Brewer suddenly announced this week that he’s retiring from hockey and going back to school. Brewer’s absence will leave a gigantic hole on the Leafs’ blue line. The foresight Imlach exercised in bringing in Pronovost may just save Toronto’s season. In training camp, Stanley has shown he may be in for a bit of a renaissance. He seemed quicker than at the end of last season, and he and long-time partner Tim Horton have been as effective as they were during their three Stanley Cup seasons. Bobby Baun sat out most of training camp thanks to a salary dispute with Imlach, but he’s back and rounding into shape. He’ll likely line up beside Pronovost. There are three contenders for the fifth swing man slot. Kent Douglas, former NHL rookie-of-the-year, is most likely to make the squad, but he’s being pushed by Larry Hillman and Duane Rupp. Hillman and Rupp both were standouts with the AHL Calder Cup-winning Rochester Americans last season. Either of them would be a regular on any NHL team other than Montreal. The worry with his defence for Imlach, as with his goaltending, is age. Stanley is 39, and Horton and Pronovost are 35. If their advanced years start to catch up with them, the Leafs are in real trouble. 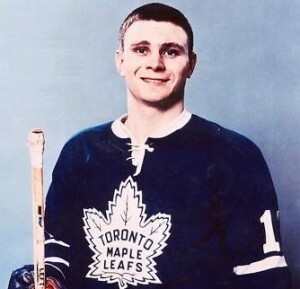 Ron Ellis is a sure star for the Leafs. No one quite knows what to expect from the Leafs’ forward unit this time around. Last year, very few of the Leafs lived up to expectations and the result was a fourth-place finish. Imlach is sure that the moves he has made, coupled with the return to form of several key men, will propel the Leafs back into contention. And if another highly thought of rookie can break through like Ron Ellis did last season, Things will be just fine. 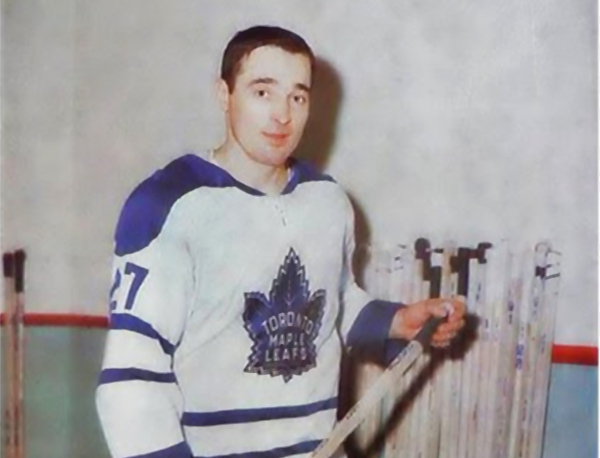 What the Leafs need more than anything else is a return to form of the Big M, Frank Mahovlich. 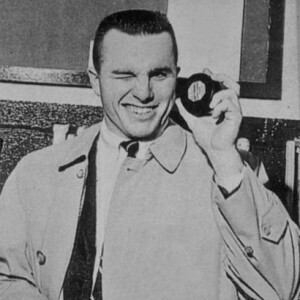 Mahovlich missed much of last season with a mystery ailment that sidelined him for 11 games. He totalled only 23 goals, a number which was far below expectations. In training camp, number 27 looks to have recaptured his old verve and just might be in for a big season. Anything less than 30 goals would be unacceptable and might prompt Punch to finally accept one of the many trade offers he has received over the years for big Frank. At 27, he should be right in the prime of his career. Down the middle the Leafs are strong. Dave Keon is the number one pivot. Now 25, he is behind only Detroit’s Norm Ullman as the best two-way centre in the game. Keon is a superb penalty killer and has immense offensive talent. Behind Keon, Bobby Pulford, who doubles as a left winger, is a similar type of performer. He doesn’t have Keon’s speed or quickness, but is a hard-nosed forward who can fill any role. Veteran Red Kelly, now having shed his duties as a Member of Parliament, likely centres Mahovlich’s line. The former Norris Trophy-winning defenseman considered retirement during the off-season, but signed up for at least one more campaign. Newcomer Orland Kurtenbach, picked up from Boston in the swap for long-time Leaf Ron Stewart, should see regular duty as well. He’s a big man, but skates well and is tough as nails. Kurtenbach is a solid faceoff man, and his generally belligerent nature gives Imlach a weapon to counteract such NHL tough guys as Montreal’s John Ferguson. “Policeman” is an apt description of what Imlach hopes Kurtenbach will provide. On the right wing, last year’s rookie sensation Ron Ellis looks to build on his fine freshman year. Captain George Armstrong, 35 will be back on Keon’s right flank. 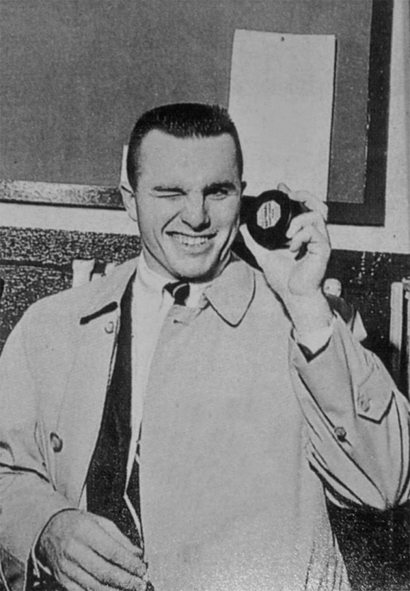 Eddie Shack, who has been banished to Rochester, has been outstanding in the early going in the AHL and it won’t be a surprise if he is back with Toronto in short order. Jim Pappin is another youngster Imlach has hoped would step up on the right side, but he’s also been dispatched to Rochester. Brit Selby, Toronto Marlboro graduate, is the big hope to give Mahovlich help on the left wing. Imlach says that he can be as good as Ellis was last year. The other left wing hope is Larry Jeffrey, who came to Toronto from Detroit with Pronovost. He’s a hard-working type of forward, just the sort of man Imlach loves on the second or third line. He has a bit of an injury history, but if he can stay healthy, he is a strong asset. Punch Imlach is one of the best tacticians in the NHL. He’s also a relentless taskmaster and players often complain, especially after they leave Toronto, that he works them too hard in practice and they have nothing left for games. Three consecutive Stanley Cups would suggest that Punch knows what he’s doing behind the bench. If he can put together the kind of team that will respond to his tough-love methods, the Leafs will be all right. This is an aging team and one has to wonder if they have another strong season or two left in the tank. For the Leafs to get back to the Stanley Cup finals, all hands must remain on deck and healthy. If age catches up with these guys, not only will the Leafs sink, but Imlach may find himself looking for another job. The Leafs should have enough talent to finish in the playoffs, but whether they can withstand another two gruelling playoff rounds after a long NHL season is a question with no easy answer. Don Cherry will eventually be back with Rochester. 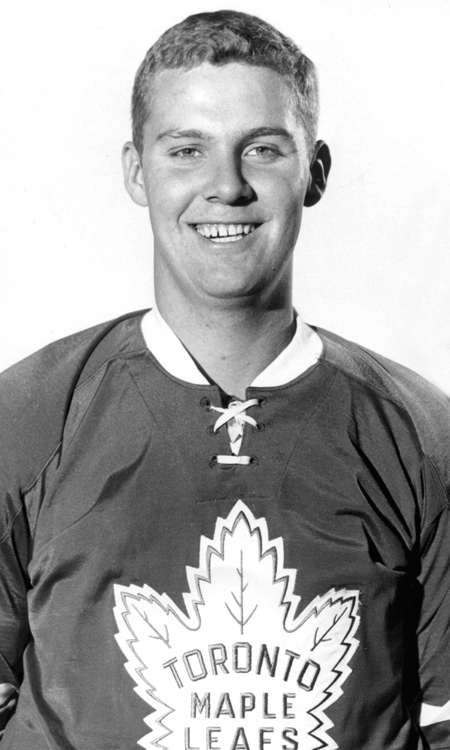 Leafs sent C Mike Walton and D Don Cherry to Tulsa (CPHL). Cherry will go back to Rochester as soon as the Leafs have another defenseman to send to Tulsa. Walton, however, is refusing to report. Stan Mikita is the last of the Chicago Black Hawks to sign his 65-66 contract. The rumoured trade between Rangers and Bruins that would send Earl Ingarfield to Boston for Reg Fleming is off. Ingarfield can’t be dealt because he was drafted from Montreal this summer and NHL rules state he must stay with Rangers for one year unless he clears waivers. Ulf Sterner, who became the first Swedish born and trained NHL player last year, has been charged with assault and battery in Tampere, Finland. Vancouver Canucks won their first WHL game this year, 5-2 over Portland. Howie Hughes and Billy McNeill each had four points. Baltimore (AHL) defeated Los Angeles (WHL) 5-3. Ray Cullen scored the game-winner.